Efficient removal of contaminants like sand, glass, chips, pins etc. from the pulp stock. 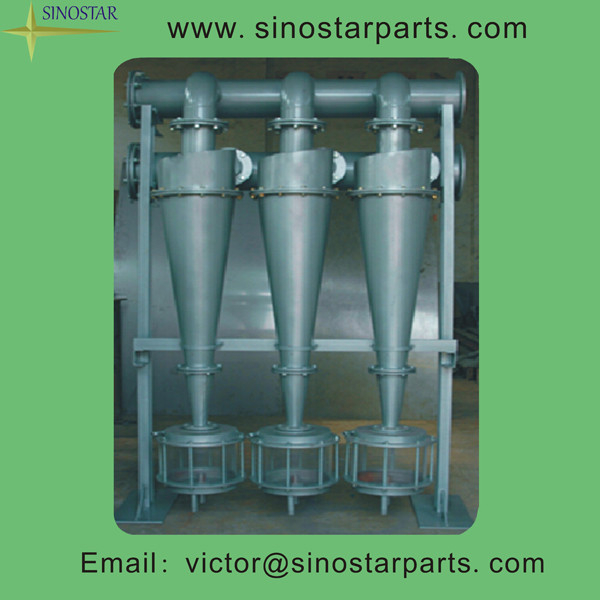 the Impurities with high specific gravity are forced to the outer wall of cone and downward to collect in a trap. The cleaned stock is discharged from the cleaner through a central discharge pipe from the bottom side. valves so that the fiber loss is insignificant. installed before screening, de-inking & refining. bubble, gas, sand stone, scrap iron etc. manufacturing and exporting paper machines. long-term cooperation with your company.